This issomething I’ve been meaning to talk about but haven’t gotten around to it. 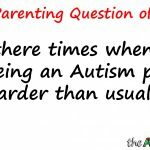 I know many of you parenting kids with Autism and or sensory processing disorder will be able to relate to this. 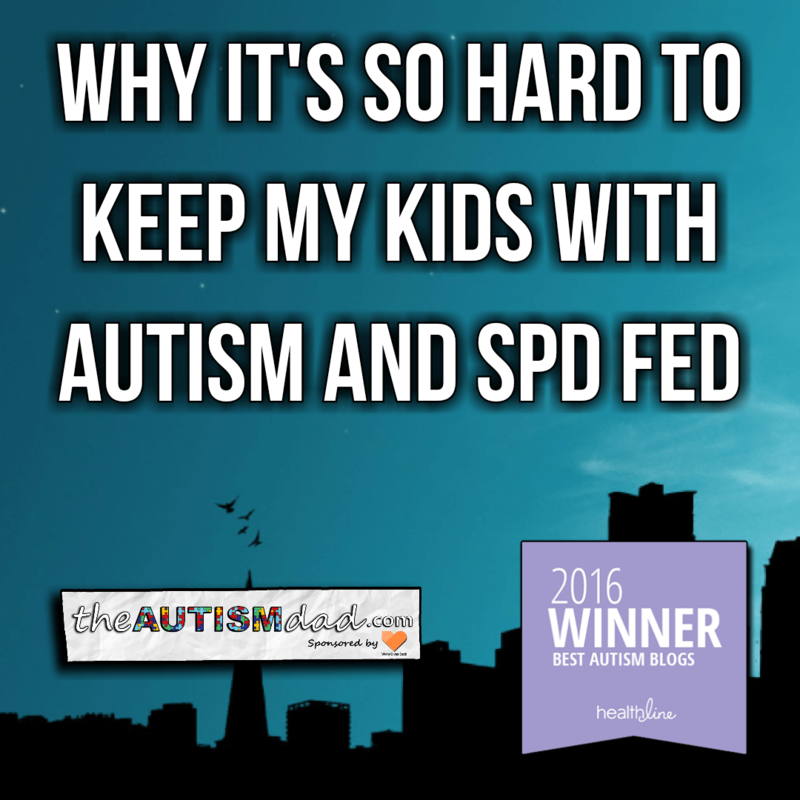 I’m talking about how difficult it can be to feed my kids. This is one of those things that unless you’re experiencing it, it’s extremely difficult to wrap your head around because instinct tells us that if the child is really hungry, they’ll eat. 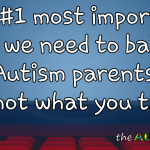 In more typical cases, that may apply but in cases of Autism and SPD, this does not apply. 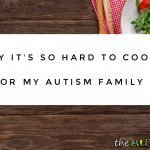 When it comes to my family, there are numerous reasons why feeding my kids is very difficult to do. These reasons are all intertwined, tangled and knotted up together. It’s very challenging to try and separate any of them because they so heavily impact each other. The first reason is pretty self-explanatory. My family is not cash rich in any sense of the word. As a 24/7 caregiver to my oldest, I’ve not been able to work outside of the house in a long time. It’s a necessary evil that I know many people don’t quite understand. As a result, our main income is disability from our oldest and youngest. Anything that is brought in from this site (adsense, donations or ad space), goes directly to our grocery budget. Sometimes it really helps and other times, not so much but it is what it is.. This is where things all become tangled. My kids will only eat certain foods. It’s not because they’re trying to be difficult or are not hungry enough to eat what’s being offered. The reality is that their pickiness is a direct result of the way their brain interprets sensory information. Things like taste, texture, color, presentation, smell, shape or even a change in packaging are all reasons they will not eat a food item. As complicated as this whole sensory thing is, it’s also really simple. They will not eat anything that is offensive to their senses. 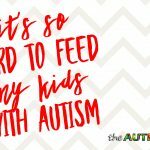 My youngest is by far the most impacted by sensory issues and for the longest time, would only eat Tyson chicken nuggets. One day a couple years back, Tyson decided to change the packaging for Emmett’s favorite chicken nuggets. That was the end of his relationship with store bought chicken nuggets. Even though the chicken nuggets remained the same, the fact that the packaging changed meant that they were different chicken nuggets. We’ve even seen cases where Emmett can taste a difference between chicken nuggets from different bags. If there were two nuggests left in a bag and we had to open a new bag (same brand and packaging) to finish making his meal, he could actually taste the difference between the ones from the old bag and those from the newly opened bag. The ones that tasted different, were never eaten because something goes was wrong with them. This is all 100% true and extremely difficult to manage. 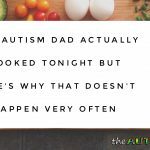 When we spend the bulk of our budget on food that the boys should be okay with, we can often run into situations where they will no longer eat a food they previously did and there’s no rhyme or reason to it. They aren’t trying to be difficult but to them, something has changed and a food is no longer palatable. There’s absolutely no point in trying to work through it either. All we can do is move on and try to find something else. Another issue we run into all the time is that I will have to make, remake and even re-remake a meal because according to my kids, it tastes funny. On an average day for an average meal, I will cook several different meals in order to accommodate these needs and insure everyone eats. 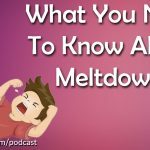 It’s also common that I will have to recook all or some of them, multiple times to fix perceived issues that make the food offensive to my kids. Sometimes it’s as simple as two different food items have touched or that not all the food items look the same (think chicken nuggests not all being the same shape). The only way to overcome this is to start over completely. There’s no other way around it. I learned the hard way that if I didn’t actually remake it but instead fixed what I thought was the issue, they could tell and it would backfire in spectacular fashion. In regards to generalization, it ties right into this. If for some reason, something doesn’t go over well the first time, they will never give it a second chance. This is because it’s assumed that because it was a certain way once, it will always be the same. Let’s say they eat a cookie for the first time and it happens to be stale. They will never again try that same type of cookie. All of these things are intertwined because when you have a very limited budget, anything that gets wasted really hurts. If you purchase something that doesn’t go overwell, it’s simply a loss. We can’t always afford to just go back to the grocery store and try again. This is a very real problem and one that weighs very heavy on me as a provider. It’s very frustrating and very defeating. This is important to both know and understand because kids with Autism and or sensory processing disorder are not trying to be difficult. In truth, it’s probably way more frustrating and painful for them because they will literally go hungry before eating something that is sensory offensive. Expecting a child with Autism or Sensory Processing Disorder to eat a food that is offensive to their senses would be like asking you to eat a cat turd out of the litter box. That’s tough and absolutely maddening, Rob. I am so sorry and cannot believe what you go through. Our saving grace has been discount stores that sell overstock food. I am not sure if you have one near you? I would look for a place that does this “We get our food from a wide variety of sources due to closeouts, short codes, discontinued and damaged case products”, and sells at a discount. It might help with your budget. Tough spot, totally get it and have been here. It’s not an easy task and it will be a process but your kids need to go GF/CF/SF. I’m not aware if you’ve had them tested for intolerance to these but they all contain glyphosate which is a proven detox inhibitor and nuero toxin. Their internal systesm are in a visicous cycle and they are also addicted to sugar. That acts like a dopamine in the brain. It will not be as easy and you’ll need to rework the budget however, the benefits of whole plant cold press juicing will yield some real results for your boys. They can still be sweetened with stevia (there are many flavors) and lemon or lime juice to make it tasty. I;ve been in this for nearly a year and we’ve seen great results in my son; it’s just become a lifestyle. We live with this issue. Our daughter is just a “picky eater” now that she’s 10, and is far more willing to try new food items and brands. 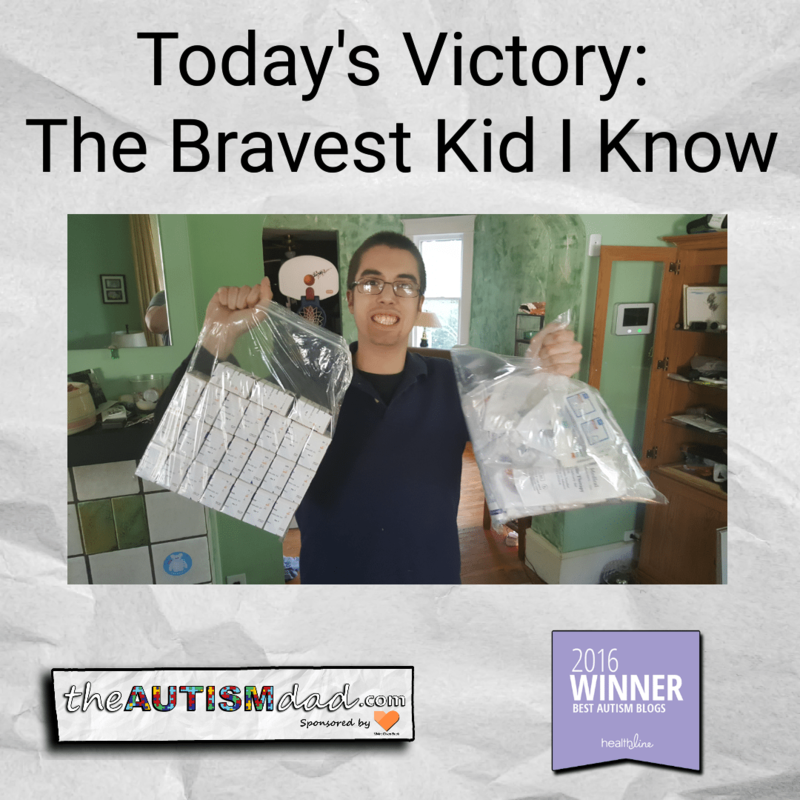 Our 14-yr old son who has really severe autism, not so much. We must keep nacho cheese Doritos on hand to get him something to eat daily. He may reject typical foods for him at any point. He frequently eats only the breading off the chicken nuggets and strips. Ugh! OT helped some to get him eating other foods, but we just never can keep him in OT long enough to get ahead on this. They graduate him out as a success too fast!! Some weeks he only eats chips and drinks sweet tea. When Sabrina died, Logan was only 22 months old. He instantly stopped talking AND eating. I took him from doctor to doctor saying “there is something wrong, he won’t eat!”. The first 3 dismissed me as a mom who had just lost a child and was hysterical about everything now. Even our GP who knew me for 10 years dismissed me. Finally a doctor said (because I knew it was autism) that it wasn’t autism and he was ordering an MRI to prove it. Then he pointed at my son’s bottle of milk and said “well he’s drinking that, start slowly switching him back to formula. If it is autism you’ll have to do it slowly because of the taste change”. So i did and the MRI was normal yet this kid would only live off of formula day after day, year after year. He accepted a sippy cup easily which freaked us out at first. He would lick the salt off of pretzels or the powder off doritos but not eat them. To help with the cost I would have another “baby” once a year on formul websites to get the free samples and coupons to feed his 200 a week habit. Then one day, I made dinner, made his formula, he approached us at the table and sat down and wanted a bite off of daddy’s plate. It was dorito salad and he was about 7 1/2 years old. Then he took off eating everything. It was awesome and more expensive than formula! Then he had a major regression at 14. He brought home bacterial pneumonia to me that landed me in the icu w/a collapsed lung in a medical coma for 12 days. Then 8 more days on the floor from ICU dementia (I think I was just exhausted and thristy). During that time he stopped eating almost everything except Chick Fil A nuggets and cheese and peanut butter crackers daddy had introduced him to. He also started running off again after finally ending any desire to elope two years earlier. I know it’s because his “constant” had disappeared on him. I wasn’t there. Even before the collpsed lung I was just exhausted for a good month and slept most of the time, but we did bed sharing because of his seizures so at least he saw me at night. Took a year to stop the elopement again. The food thing, still happening. He can live on those darn crackers! Before he puts one in his mouth, even when he’s half asleep, he will move it around in his hand, checking to make sure there are no crumbs, cracks. I guess quality checking it like his dad does for a living! It drives me NUTS that we have become a family of about 5 things I can cook that he’ll eat or he demands fast food. He has gotten to the point where he’ll only eat a certain type of noodle! He’s 18 now and I was hoping it was a phase but I don’t think it is. I am sorry that it’s like that for you. I totally get it though! We keep saying “when we were growing up, we ate what was in front of us or we didn’t eat”, like that will motivate him or something. You are right, they will starve before eating something that does not appeal to them. I get worn out cooking two or three different meals a day. I do not know how you do it! And the weird thing for my Logan is that he will eat whatever they put in front of him at school! I just do not understand! Gosh I can so relate to this. 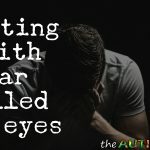 I have a son with Aspergers/ADHD/Anxiety disorder and I also learnt the hard way that no ASD kid will ‘eat when they are hungry.’ If my son has a ‘positive’ food experience then he will eat that food for a period of around 3 months. Then suddenly, usually after I have stocked up because they were on special, he will abruptly change because he tasted something else!! So frustrating. He also only eats the same brand and can smell the difference before it even gets near his mouth (especially chicken nuggets lol). He will easily go hungry if it’s not the right food, if it doesn’t look right (he doesn’t like ‘messy’ food) or his food isn’t available. 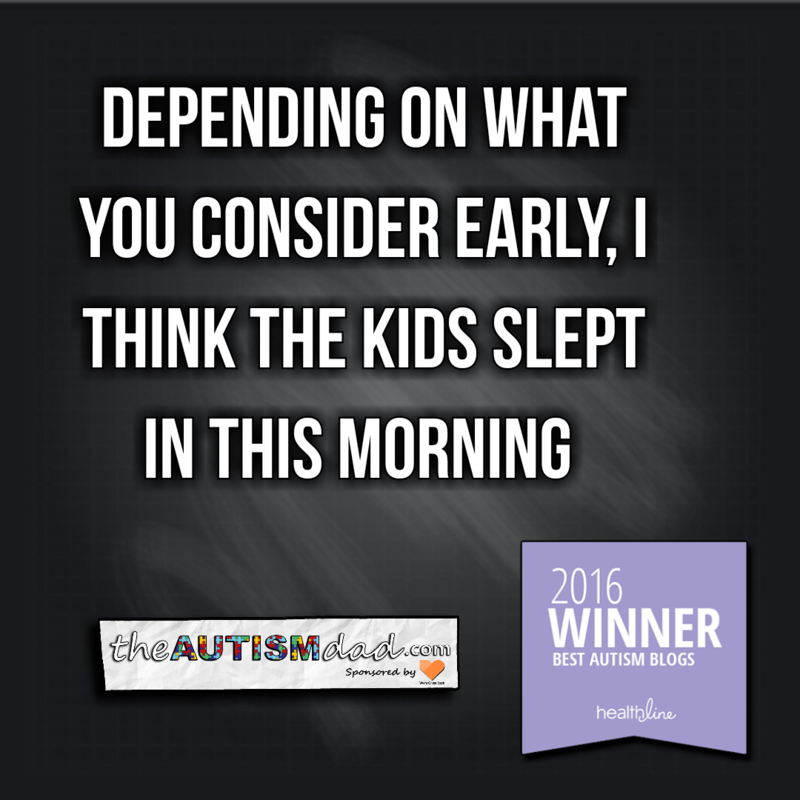 I’m not sure many people will understand this until they live with a child with these kinds of sensory issues (my son is sensory to sound and taste). 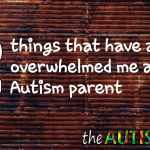 We are fortunate, we only have one child with these issues. 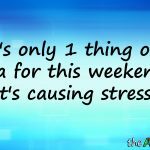 I feel for you – with 3 kids it would be a logisical nightmare!!! Nicole, I so get it. Thanks for sharing. It’s really tough trying to navigate this kinda thing.. Have you found anything that will work if push comes to shove??? The short answer to that is no. Because I don’t think there is one. Like you, we have to go with the flow, adjust when we need to and cross our fingers that what he eats is available (and affordable). Hubby and I are the parents who will go shopping at 10pm because we’ve run out of what he eats, or buy 10 junior burgers from Maccas and freeze them because that’s the latest thing he’ll eat. Don’t be hard on yourself Rob. 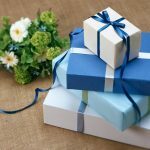 I have been following your blog for a couple of months and I am in awe of you!! There are no hard and fast answers, every child is unique and every family is unique. I can’t even imagine your journey and it leaves me humble being able to just follow you.